Each leader completes a practical and objective online assessment. We ask them to identify the best and worst approach to 40 real-world scenarios. Our AI engine compares each participant's responses to our knowledge and skills benchmarks - comprised of the results from over 10,000 previous participants. You get visibility of each of your leader's strengths and weaknesses across various categories of leadership. This objective, scientific assessment allows you to see those team members that are ready to meet your current business challenges - and how to focus your development budget on those needing help. 1 to 1 leadership coaching - delivered on the phone, online, or in person - provides a truly personalised experience to each participant. Working with an accredited coach, participants gain access to a neutral expert in leadership. Their support and advice helps each of your key people navigate through their own development journey. Participants work with coaches on the leadership goals that are most important to them in their role right now. This ensures that your team gains maximum impact and relevance from their coaching time. 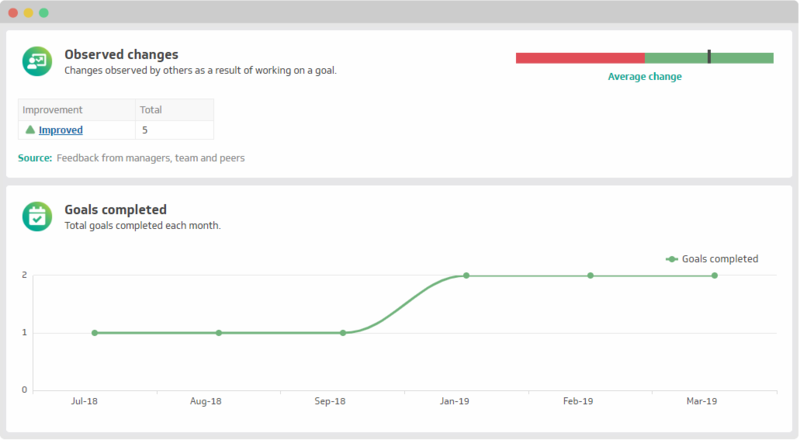 You get a real-time view of development progress, enabling you to monitor the situation as leaders in your team complete their individual goals. Skills, effectiveness and goal achievement are regularly "pulsed" by coaches, gathering up-to-date data and team feedback to measure progress. Through this regular monitoring, we enable you to see tangible performance improvements over time, and ensure lasting behavioral change. "My coach was very knowledgeable and personable. Good examples catered directly to my specific team. Has improved my capacity as a leader and was good to discuss matters with."